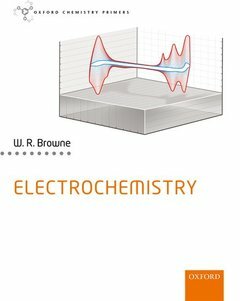 Add to cart the livre of Browne Wesley R.
Wesley R. Browne obtained his PhD in Chemistry (2002) from Dublin City University, before taking up Research and Honorary Research Fellowships at Queen's University Belfast, Ireland. Subsequently he moved to the University of Groningen as a Research Fellow at the Stratingh Institute for Chemistry in 2003, and was appointed as Assistant Professor (2007) and later Associate Professor of Functional Molecular Materials and Catalytic Systems (2013). He is currently Chair of Molecular Inorganic Chemistry (2015). Both his research and teaching centre on spectroscopy and electrochemistry applied to materials and molecular systems, in particular molecular switches and oxidation catalysis. He was awarded the 'Gouden Docent' (Gold medal for Chemical Education) in 2016 by the Royal Netherlands Chemical Society, and sits on the International advisory boards of the European Journal of Inorganic Chemistry, Chemical Communications, and Particle.